Your windows 7 computer name is entered during windows 7 installation. You are asked to enter your computer name at last stage of windows 7 installation. 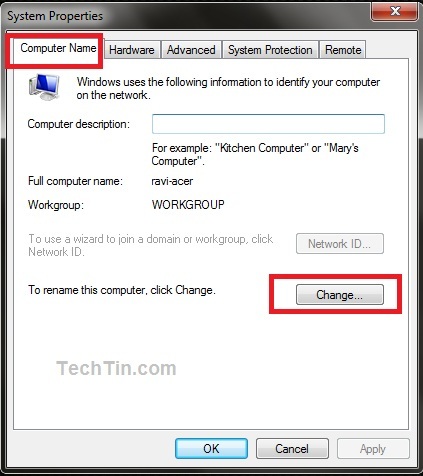 If you want to change your computer name because of some reason, here is how you can do in windows 7. 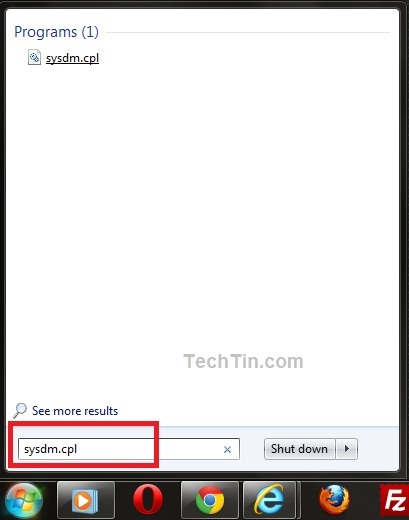 Click start button and in seach box type sysdm.cpl and press Enter key. Under Computer Name tab click change button. 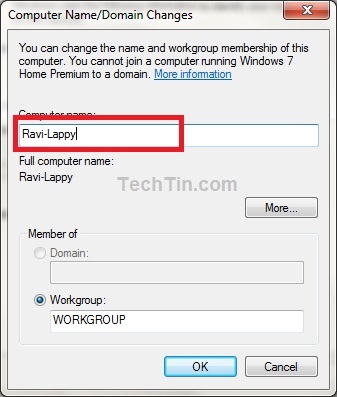 Enter new name of your computer and click OK button. Done!! You will need to restart your computer. Ok, thats great, worked fine. Now I have a problem though. The old computer name still appears in the network listing. How do I remove it? You need to restart your computer after you have made change. Let me know exact place where old computer name still exist.